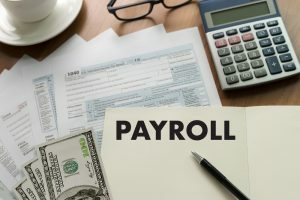 The way you operate payroll has a major effect on your business. Mistakes in this area can cost you extra expenses, higher taxes, or even penalties. It’s important to run your payroll in an accurate and efficient manner. If you’re experiencing a challenge with cash flow, make sure that you pay the IRS before anyone else. Failing to pay your payroll taxes on time can lead to a trust fund recovery penalty. In such cases, you could be liable for all of the outstanding taxes, including income, social security, and Medicare taxes for all your employees. Always make making your taxes a priority. Compensatory time, usually called comp time, refers to the practice of giving your employees time off at some future date. Businesses sometimes offer comp time in place of overtime. For example, if an employee works 50 hours one week, the owner or manager might offer him 10 hours off next week rather than paying him time and a half for the 10 extra hours worked. This practice is illegal for non-exempt employees and could get you into trouble. You are obligated to pay employees who work more than 40 hours overtime and aren’t allowed to replace this with comp time. Many companies nowadays prefer to work with independent contractors rather than employees to avoid payroll taxes and having to offer benefits. If you do this, however, you have to make sure that you’re not misclassifying employees as independent contractors. Keep in mind that compelling workers to sign a contract saying that they’re independent contractors and not employees doesn’t necessarily make this legally binding. It’s important that you know the difference. The IRS has a complete set of guidelines that explain the difference between the two. It’s a common practice to reimburse employees for expenses such as travel and entertainment when such activities are done for business reasons. However, you should be mindful that you do this in the right way. If you follow the IRS guidelines for an accountable plan, reimbursement isn’t taxable and you don’t owe payroll taxes. However, if you fail to do this and simply reimburse employees when they request it, these expenses become taxable and you incur payroll taxes. Businesses that are low on cash sometimes delay paying employees. Another scenario is when an employee quits and the business delays paying the final paycheck. Either way, you can face penalties for paying an employee late. Specific requirements for paying employees in a timely manner vary from state to state. Some states, for example, require that you pay employees at least once per month. For others, it’s twice per month. Most states require employers to specify payment periods. If you don’t conform to this schedule, you could face a lawsuit or penalties. These are some payroll mistakes that could end up costing your business dearly. Many of these problems arise from cash flow challenges. One way to improve your cash flow so you can more readily meet your obligations is to take advantage of the invoice factoring services offered by Riviera Finance.